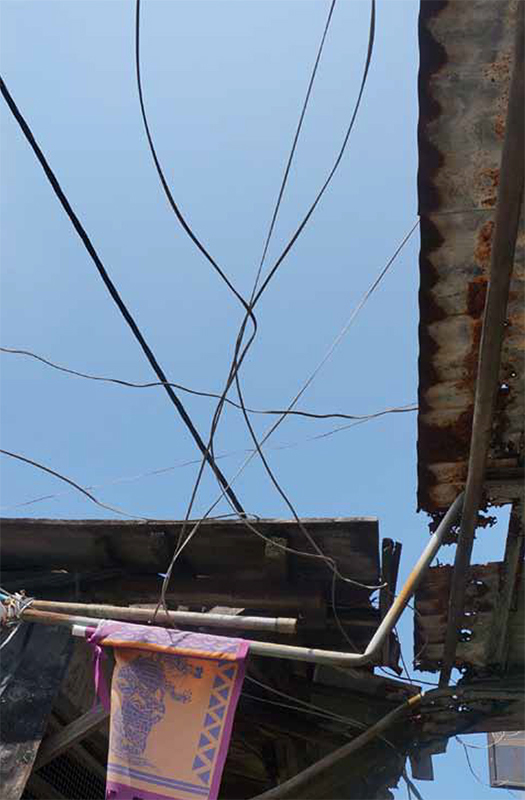 When one looks up, one could obviously spot the overhead power cable in Pokfulam village. 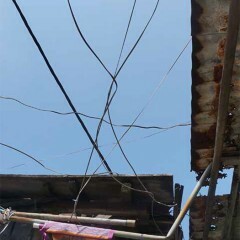 Clustered around the electric pole, the wires radiate through the air and manifest themselves across the squatter huts. Together they produce irregular overlapping and attachment, yet certain pattern can be observed. 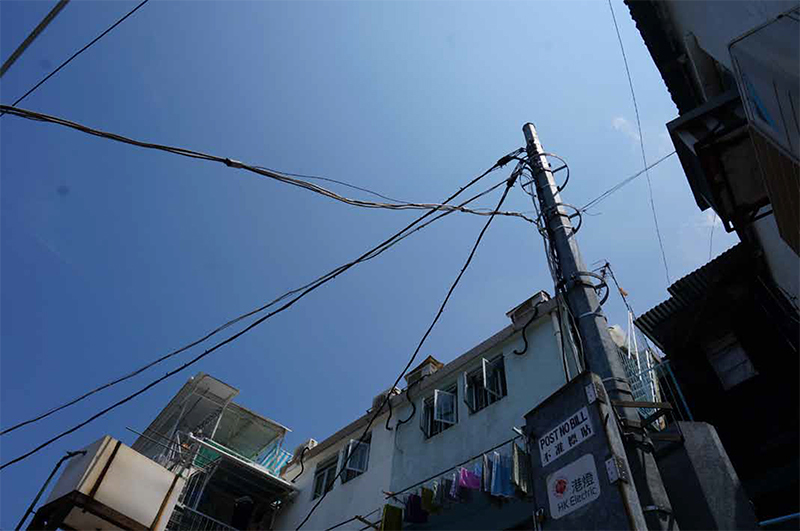 The electric poles are located at regular intervals along the main street, each acts as a radiator and projects the wires outward. Regular patterns can be observed in spacious areas while bundles in chaotic patterns can be seen in narrow allies. 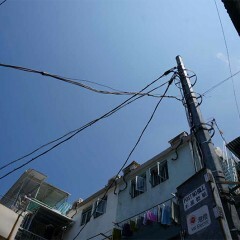 The electrical wiring forms an intranet which everyone gets and shares electricity from the same pole. In fact this intranet system resembles the pathway of villagers. 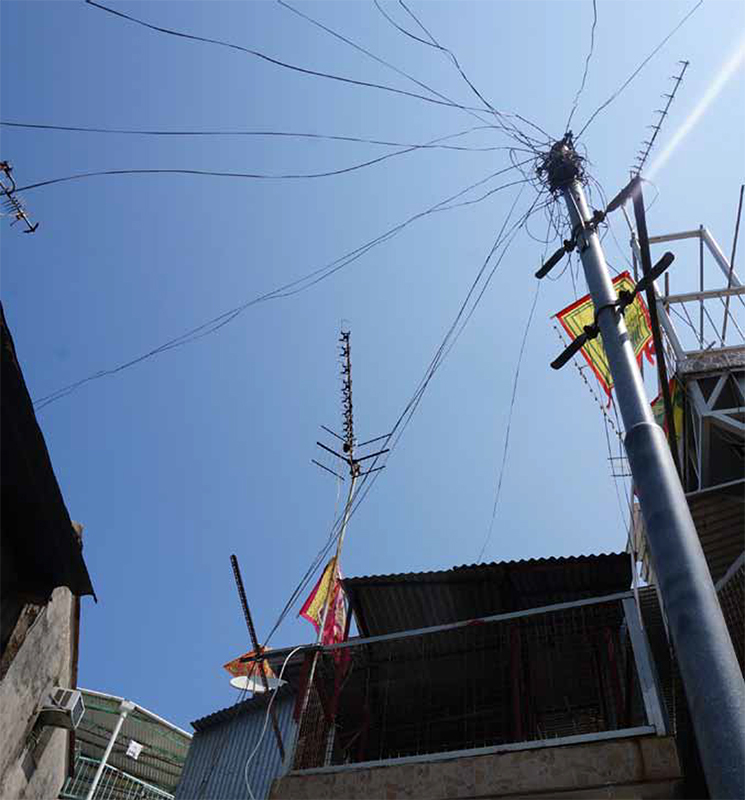 One can find most of the electric poles located in the main street where most of the markets and huts are situated. 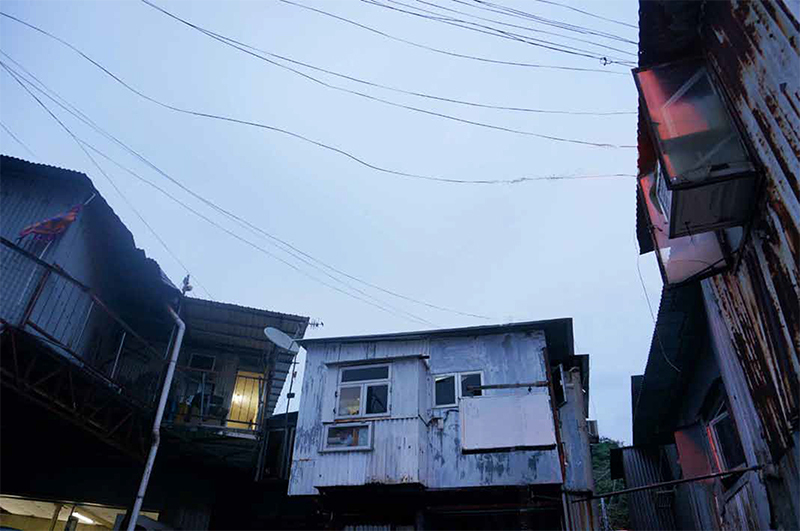 The density of the electrical wiring actually has a positive relationship with the population in the area. 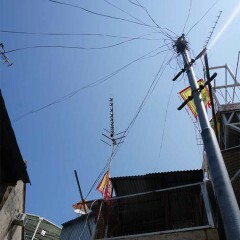 Thus, by following the wiring, one can get to the main community space where the electric pole is located. It helps link up the villagers. 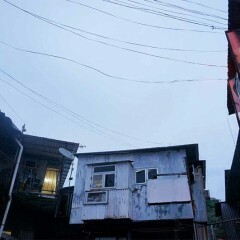 To me, the electrical wiring is quite a unique phenomenon that can hardly observe in Hong Kong, is this type of electricity provision a design in the past or is it specially designed for the village?